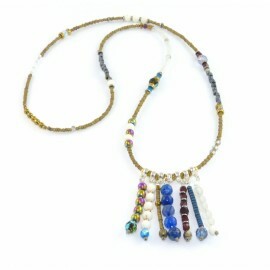 Long necklace with semi-precious stones. 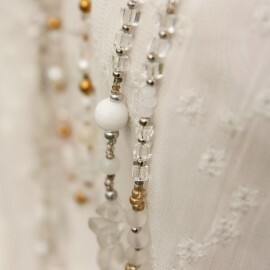 The necklace consists of 2 strings of stones and beads - jade, mountain crystal, white agate and glass. The necklace is transparent white. 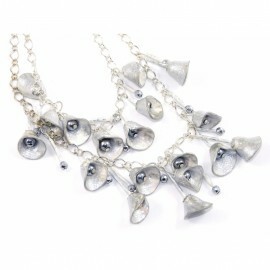 Length of necklace 100 cm. 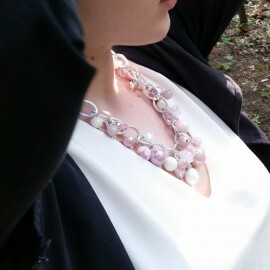 Necklace with stones and glass beads. 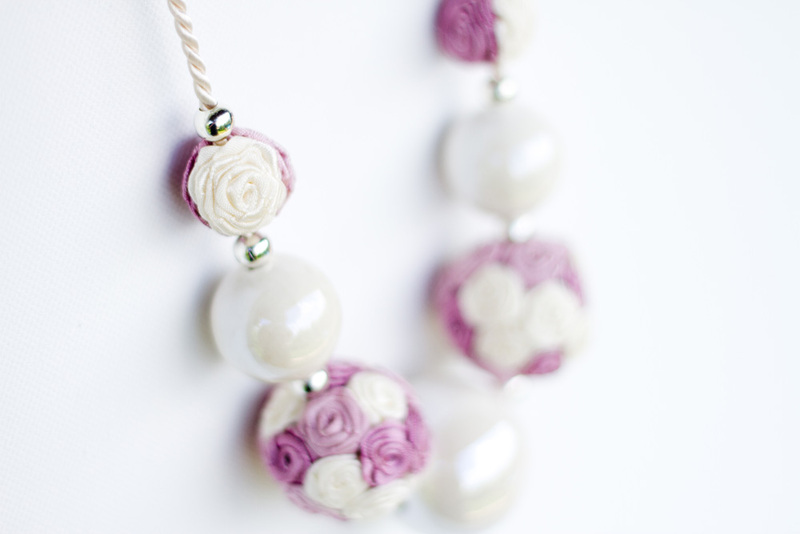 Necklace made of handmade flowers of polymer pulp. 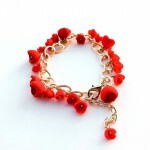 Flowers size 2.0-3.5 cm in pink and red, suspended on a very nice black chain. 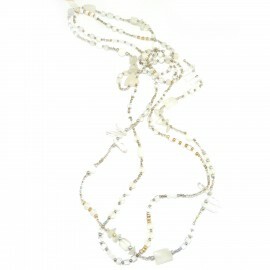 The necklace is about 80 cm long, worn by the head. 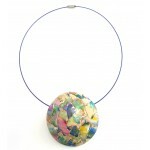 The necklace was made of ceramics, silver hematite and polymer. 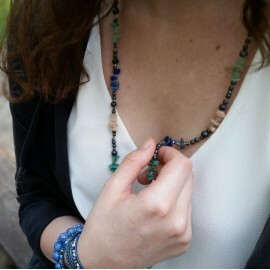 The necklace is about 50 cm long, plus the possibility of extending it by 5 cm. 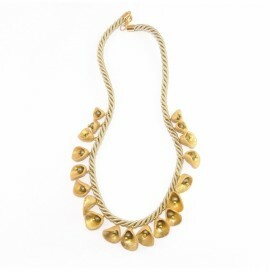 Necklace of polymer bells. Handmade bells made of clay decorated with gold foil and paste. The whole is placed on a twisted string. 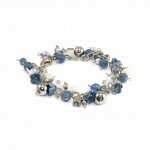 The necklace is about 50 cm long and can be extended by 4 cm. Delicate necklace with flowers. 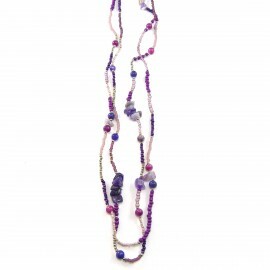 This lightweight necklace on a leather strap with pink polymeric masses is about 50 cm long. 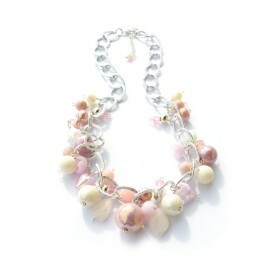 Necklace with handmade bells made of the polymer clay in white and silver. 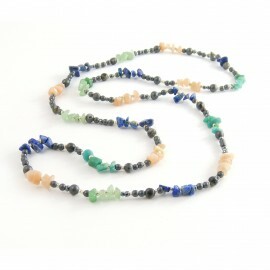 Necklace with sodalite and hematite 90 cm long also with jade stone, labradorite and mother of pearl. 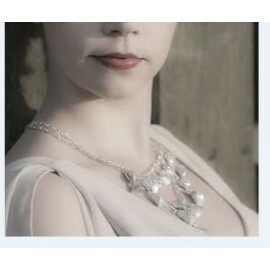 The necklace is dark gray, blue green. 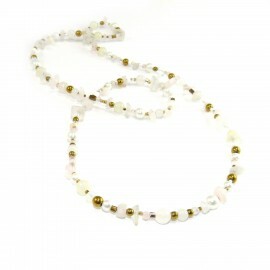 Necklace with various stones and glass beads. Assigned by the head, length about 80 cm. 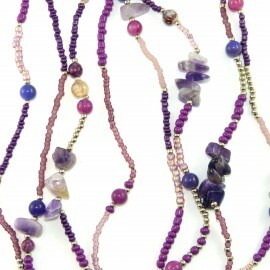 The necklace consists of 2 strings of glass beads, jade stone, agate and amethyst. It is in dark violet color and has a length of 95 cm.